Today I took the comparatively short journey to the home of Tank Coffee in the northwest of England. 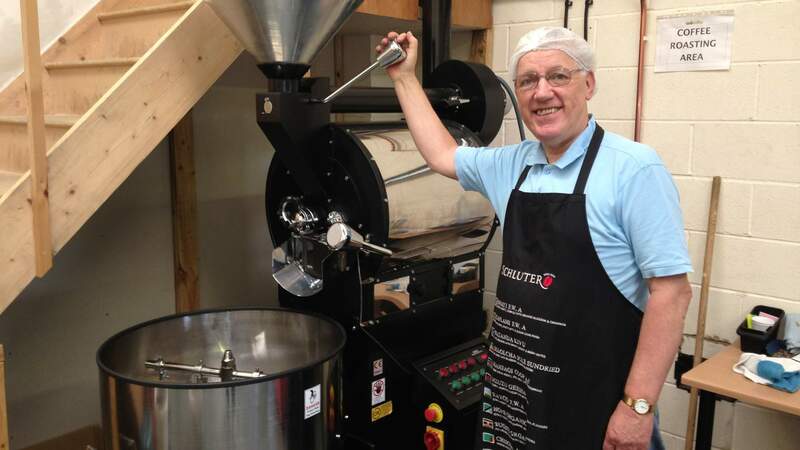 They are a small operation, but roast and distribute a lot of fair trade, sustainably produced coffee from around the world to various outlets in the UK and elsewhere. I met with Garth and Joan, the husband and wife team who roast, grind, bag and dispatch the coffee, as well as Ged, who runs the operation alongside his engineering companies. I was shown round the facility, introduced to the roaster and the grinder and was served some of their coffee from Ethiopia. It was great to connect with them on their home turf and see how they go about things. We always love meeting with other coffee connoisseurs, especially those who could turn out to be good partners. You can view even more photos on our Tumblr.